Mountains rule in Chamonix, France. Some of the world’s best expert skiing can be found on Chamonix’s jagged peaks and glaciers that rise 12,500 feet above the valley. A proving ground for alpinists, mountaineers and skiers from all over the world, Chamonix, or “Cham” as the locals and core skiers call it, has more of an authentic alpine flair than resort glitz and glamour. Chamonix is renowned as an avid mountaineer destination, so you can expect to see a lot of advanced skiers and boarders schlepping climbing equipment around. Tucked beneath the shadow of 15,767-foot Mont Blanc—France’s treasure—the power and beauty of this area are unmatched. Chamonix France offers five main ski areas, accessed via the area’s mini base villages; 50 lifts transport skiers of all abilities to the resort’s famed slopes. Le Brevent cable car begins just above the town and climbs to more than 8,000 feet. Les Houches, Le Tour and sunny La Flegere are where beginners and intermediates will find many trails to ski. 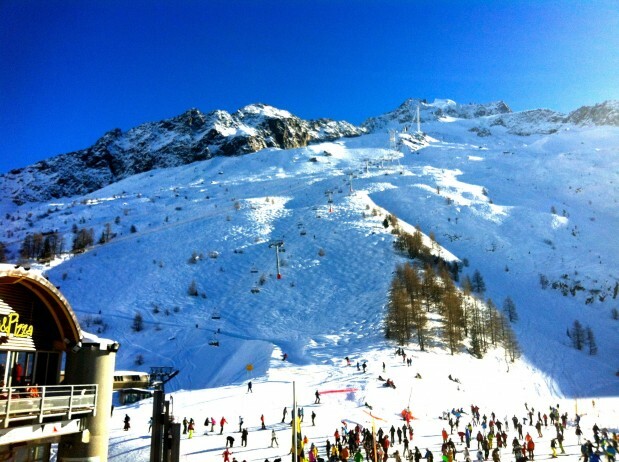 Les Grands Montets is the most popular area for the intermediate and the more advanced skiers. Strong intermediate and above skiers will want to challenge themselves in the area off of the Aiguille du Midi, reached by a two-stage cable car. This 7,000-foot descent on and along the glacier of Vallee Blanche features spectacular mountain scenery dominated by Mont Blanc, Europe’s highest mountain. The closest airport for ease of access to Chamonix is Sion at 35 miles away. A 6 seat Cessna Citation CJ2 jet from London to Sion is approximately 1 hour 25 minutes. A larger 8 seat Cessna Citation XLS will complete the journey in 1 hour 15 minutes. The Drive time will take approximately 1 hour 15 minutes due to the mountain roads. A helicopter will get you there in 35 minutes. Arranging a private jet charter or helicopter transfer with Freedom Air to arrive in style to Chamonix is simple. The Freedom Air team can be reached on +44 (0) 1275 548001 to book your next trip.